We’ve discussed before how convertibles were very much a dying breed going from the 1970s into the 1980s. While there were a handful of holdover cars from another era from Alfa Romeo, Fiat (badged as Pininfarina or Bertone due to Fiat’s official withdrawal from the U.S. market), and the like, it was widely believed that convertibles would soon be consigned to the history books thanks to ever-increasing safety standards from the US Department of Transportation and other safety Nazis. Still, a few mainstream manufacturers kept the torch burning for the convertible in the form of special, low-production convertible versions of their sporting coupes. Today’s case in point is the attractive Toyota-ASC collaboration on the Celica GTS Convertible. 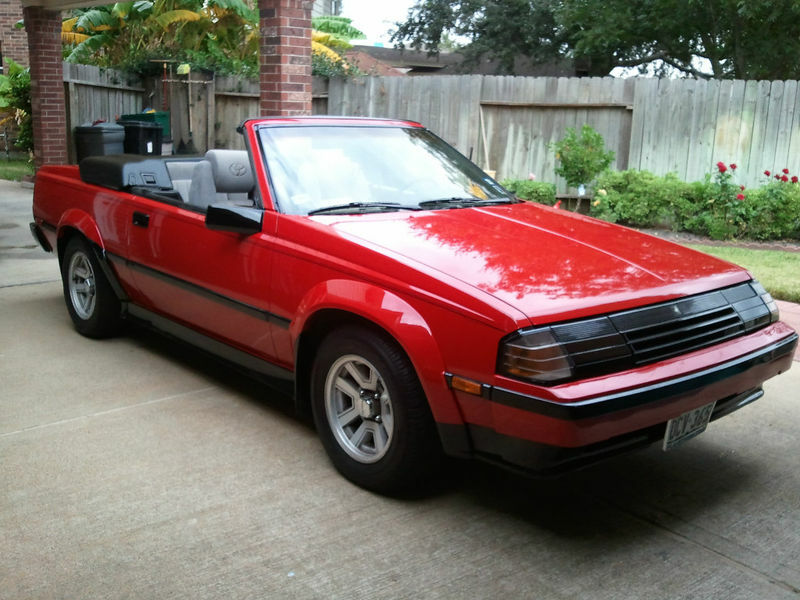 They were only produced for two years – 1984 and 1985 – with just 250 1984s hitting the streets, making this clean red car for sale here on eBay in Katy, Texas for just $4,200 especially rare. There were about 4,500 produced for 1985.